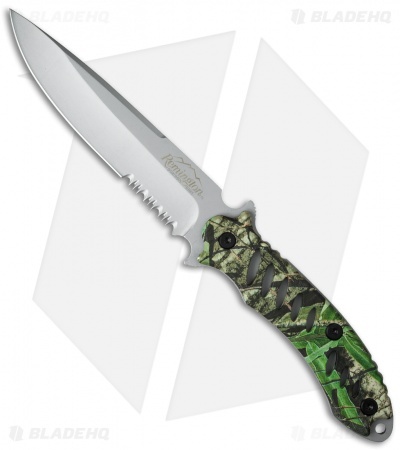 This Remington FAST fixed blade knife is the knife outdoorsmen are looking for. Made of sturdy 440 stainless steel with a bead blast finish, this blade can withstand the punishment of the wild. 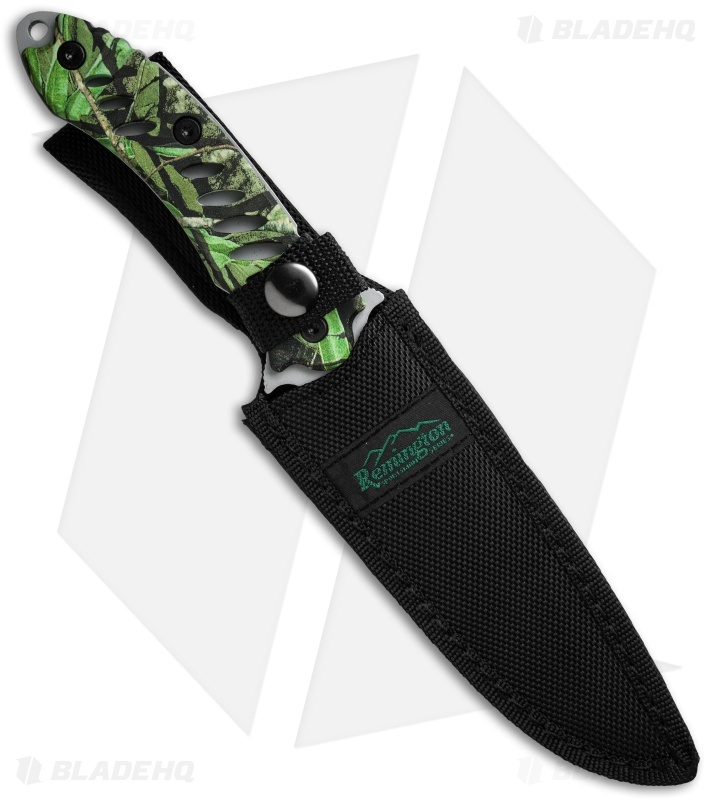 The sharp, clip point design and partially serrated edge give you the versatility of dealing with a variety of cutting needs. Full tang construction lends added strength, and the lightweight, curved handle is comfortable in your hand. There is a lanyard hole for adding a custom touch or a wrist strap for extra stability. The knife also comes with a black nylon sheath with attached belt loop.